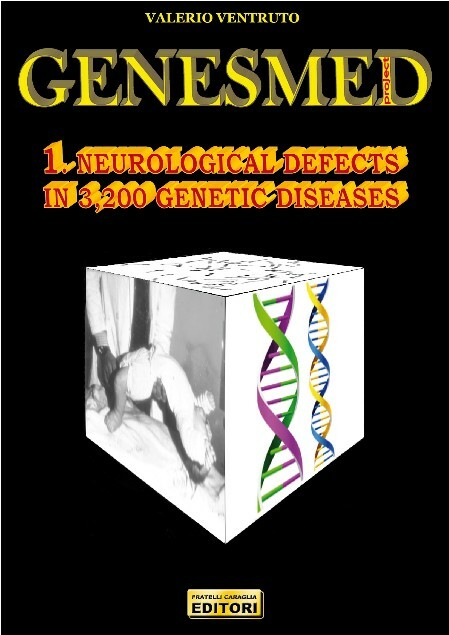 It is worth noting that it is not a textbook of Neurological book but a book containing genetic diseases in which, in isolated forms or in syndromic associations, the anomalies of these structures may occur. The aim is to offer an easy and up-to-date approach to the diagnostic recognition of the thousands of genetic diseases and congenital malformations. The purpose is to aid physicians who often encounter difficulty in the interpretation of the meaning and prognosis of signs, even if correctly observed. The books making up the Encyclopedia are not textbooks of Specialized Medicine but for Medical specialists. Even if gene analyses are frequently available they do not allow their prenatal molecular diagnosis, because knowledge of the genes involved does not always enable prenatal diagnostic application. The word genetic is in everyday language. It does not apply to only specialized medicine. Medical students should know that every disease of the organs of the body occurs in hundreds of inherited syndromes. For instance, only few students know that hepatic chirrosis may be observed in 80 genetic diseases; when they study congenital cardiac defects, were not told they that prolapse of mitral valve occurs in 60 genetic syndromes; and the instances could go on. Nowaday particular attention deserves not only to the thousands of well-known inherited diseases, but also to the susceptibility towards the diseases. It is worth considering that the genome today tells you much more about predisposition to obesity, hypertension, diabetes, cardiac infart, tumors, etc. These knowledges are very useful for running special programme aimed at preventing these social diseases. From what till now said, the Authors suppose that it has been useful that any book of this series of publication has not restricted itself to a simply academic knowledges but also for not medical people useful data have been frequently integrated. L'edizione digitale dei nostri volumi è in formato PDF o EPUB. Entro 48 ore lavorative dal pagamento dell'ordine ricevi sulla tua e-mail il link per scaricare (senza alcuna registrazione) il libro acquistato.